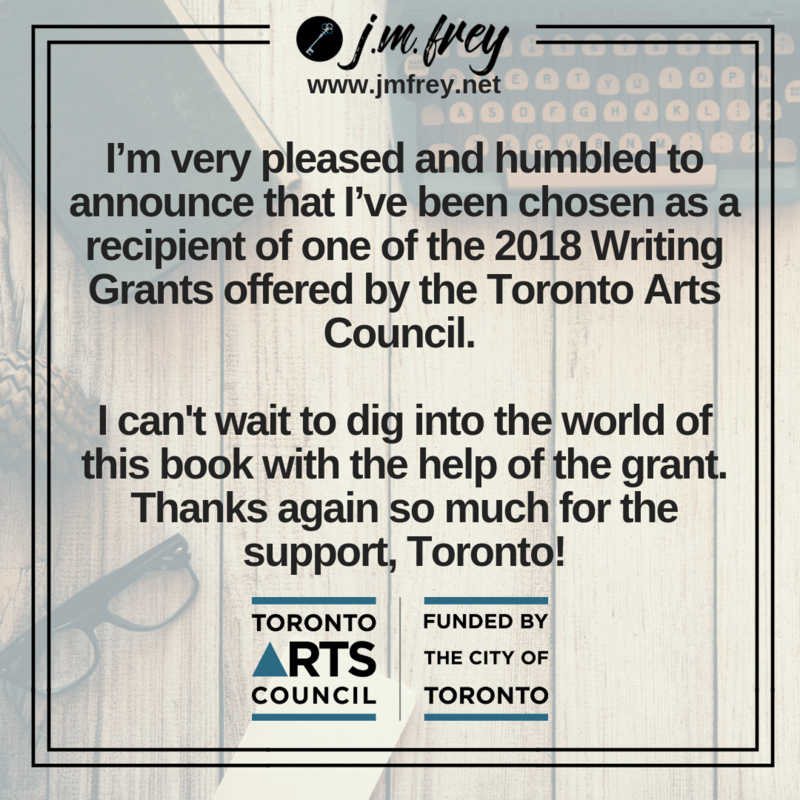 I’m very pleased and humbled to announce that I’ve been chosen as a recipient of one of the 2018 Writing Grants offered by Toronto Arts Council. I can’t wait to dig into this the world of this book with the help of the grant. Thanks again so much for the support, Toronto!